Today, itâ€™s becoming more common to see corporate professionals running nonprofits. What in your corporate experience do you think best applies in making the transition? Power Play: Has served as chairman and CEO for two other major firms: Avis Group Holdings Inc. in 1999 and Equitant Ltd. in 2003. 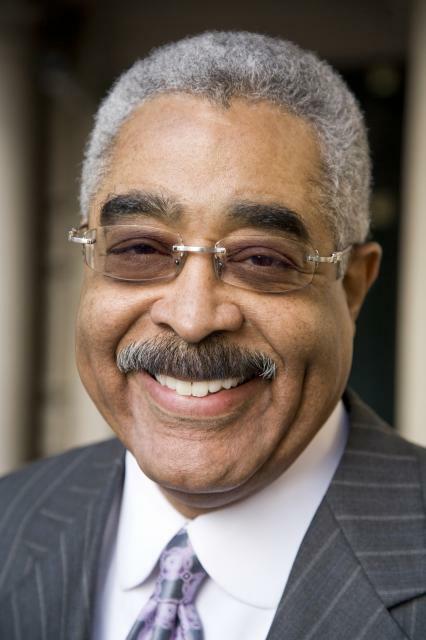 Today he is the first African American chief executive officer of the membership organization for people age 50 and older, AARP. Today, it’s becoming more common to see corporate professionals running nonprofits. What in your corporate experience do you think best applies in making the transition? I don’t think there’s that much difference between a nonprofit and a for-profit. The reason is both of them have missions. And regardless of the mission, there are leadership practices, business practices, and management processes used to achieve the missions. The biggest difference is culture. There are different cultures. So the question is, ‘Are you being effective in using what you’ve used in the past in a culture that’s different?’ There’s an old saying, ‘Culture trumps strategy every day,’ so if you are not relating, I don’t care what you bring to the party, you’re not going to be effective. And so the multiple experiences I’veÂ had have been multiple experiences in different cultures. Do you think that management challenges for some leaders are a result of not understanding how culture impacts their ability to lead? I think there’s a high propensity to come in with an attitude that you know what to do because you’ve had experience. I won’t suggest that it’s arrogance. I will suggest that a leadership style is more effective if you listen first and try to understand what the culture is and try to understand why they do things; try to understand what it is they want to achieve. Then you say: ‘If we want to achieve that together, can I give you some ideas? Can I show you what’s hurting us? Can I show you a different way of doing it?’ But if you come in, in my experience, with mantle in hand and you’re not listening, people will push back on you. Not because you’re wrong, but asking ‘How do you know? You’ve only been here one day and you already have a prescription.’ Leadership style has to be one that’s varied. Once you gain an understanding of the culture, should part of your strategy then be to change the culture? Changing the culture, in many of cases, will be part of the strategy. But the question still is, how do you do it? You can’t do it by yourself. You certainly can’t do it until you understand the differences and why the culture is the way it is. This is across any organization. When I was at Avis, it was owned by the employees. I went in there with a bias: I was tired of seeing the motto, ‘We’re second and we try harder.’ I intended to change it. But before I told anybody I asked the advertising agency to take a look at it, and they said, this is not a slogan, this is a way of life; they truly believe they try harder. So, I kept it the same and just modernized the ads. But if I had come in saying, ‘I believe my bias is the exact right one; I don’t need a lot of feedback,’ I may have lost my ability to lead. This story orginally appeared in the August 2009 issue of Black Enterprise magazine.